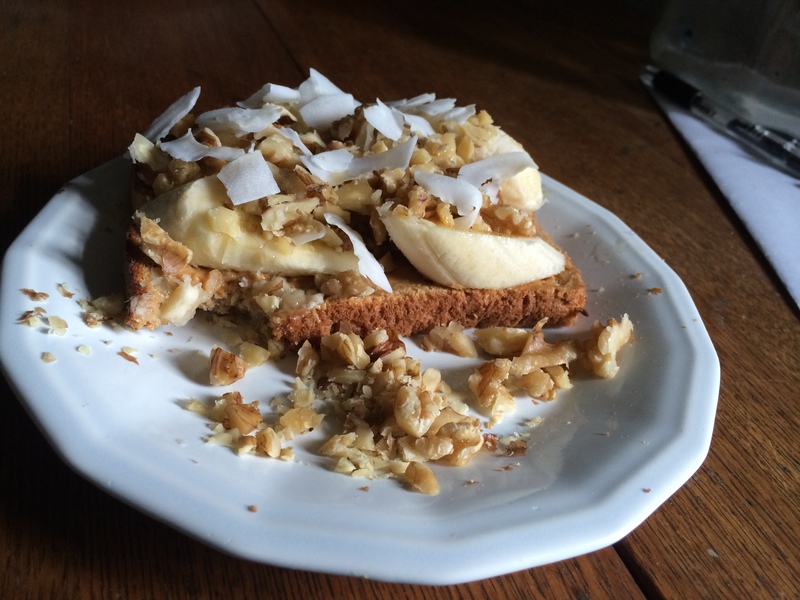 Breakfast Today: Nut Lovers Toast! So I spread peanut butter on the toast and topped with sliced bananas but instead of drizzling with chocolate, I topped it with chopped walnuts and shredded coconut. Thus, the invention of the nut lovers. Toast your bread. While the toast is toasting, chop the walnuts. It should be a coarse chop, so you still have larger chunks of nut. Then, slice the banana. 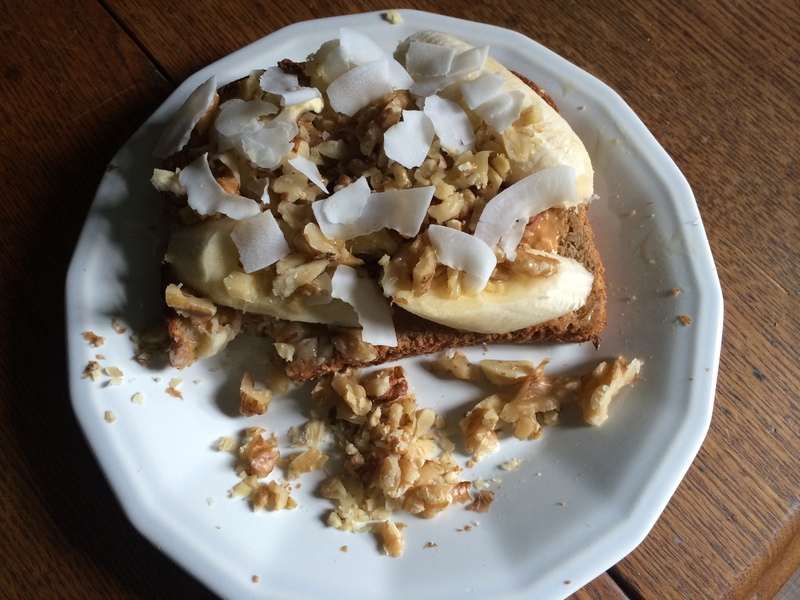 Now spread some peanut butter on the toast, add sliced banana, then sprinkle with walnuts and some shredded coconut. And, if you’d like, drizzle with a touch of maple syrup for extra sweetness. I know, easy, right?